Thanks to our lovely customers, Heatherly has enjoyed 10 years of business and we truly appreciate all the wonderful feedback and photos of your Heatherly beds, bedheads and furniture in your homes! Share your pics on Instagram using #myheatherlyhome and follow the hashtag for lots of inspiration of real homes! Each month we select a winner who receives a $100 gift voucher from Elk The Label. Thankyou so much for all your help. I love it. Have been getting my room set up! Absolutely LOVE the bedhead! It’s in my guest room! It was paramount for us to specify Australian-made so I approached leading upholsterer Heatherly Design and visited their Surry Hills Showroom. I absolutely LOVE my Heatherly bed. Prior to choosing Heatherly Designs, I looked at many bedheads and frames. After my first consultation with Michelle, I left feeling pretty impressed with the quality of the upholstering but was a bit overwhelmed with fabric choices, colours and and cost wise it was above my budget. I then went back for a second, more detailed look and decided that there is a real difference in quality and customisation that came with the Heatherly price and hence chose to go with you. I’m really thrilled with the fabric colour and Rupert design. It brings a beautiful contemporary feel to our room and yet is timeless for years to come. Our beautiful bedhead arrived right on 8.30am! Just thought to send you a pic! The bedhead is beautiful – a quality product. Creating a custom size bedhead with Heatherly was a game changer for our master bedroom. It gave us options in what was a really tricky space due to a large, low window. And of course, the design was gorgeous and the quality fantastic. This is my second Heatherly bedhead and I couldn’t love them more! straight away and the delivery, assembly process – painless! I love the understated look and quality of our bed. We are beyond happy with the bed! 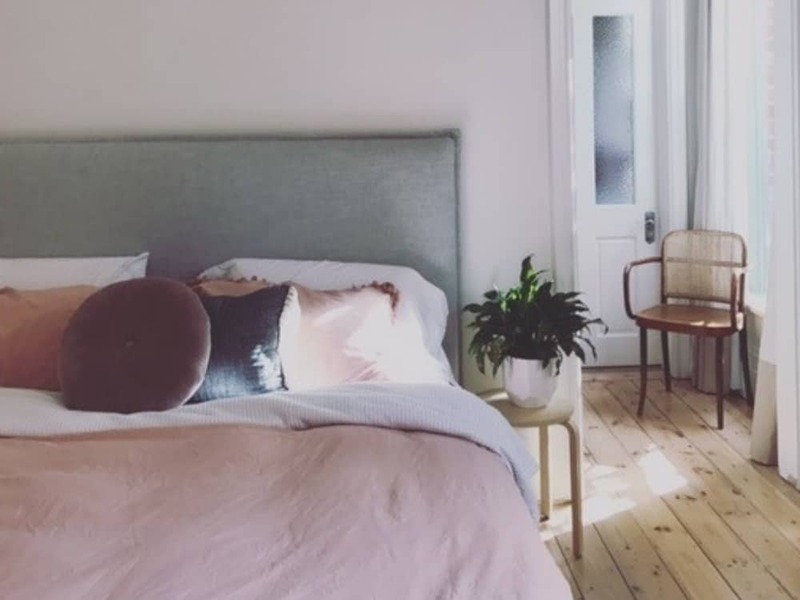 We looked at many different beds in Melbourne and online, and couldn’t be happier that we decided on one of your designs. It is a luxury holiday accommodation apartment we are setting up and I think the bedhead will be a real feature. The follow up process and high level of communication through the production, delivery and payment was amazing. Your delivery team were warm, friendly efficient and careful. I love my bedhead I have purchased from you. A photo of it in my daughter’s room is attached. She is thrilled! Thank you I love my bedhead, great service too. My son adores his new bed. A boy who has zero interest in fashion or design is delighted! Thank you for my amazing bedhead. Thank you very much they are all beautiful. Hi Georgie, I have attached some photos of our bedhead and footstool. So happy, thanks again. Thank you very much. They are beautiful! I am absolutely thrilled with them. We are extremely happy with our new bed! The workmanship is is clearly of a very high standard and is very comfortable. 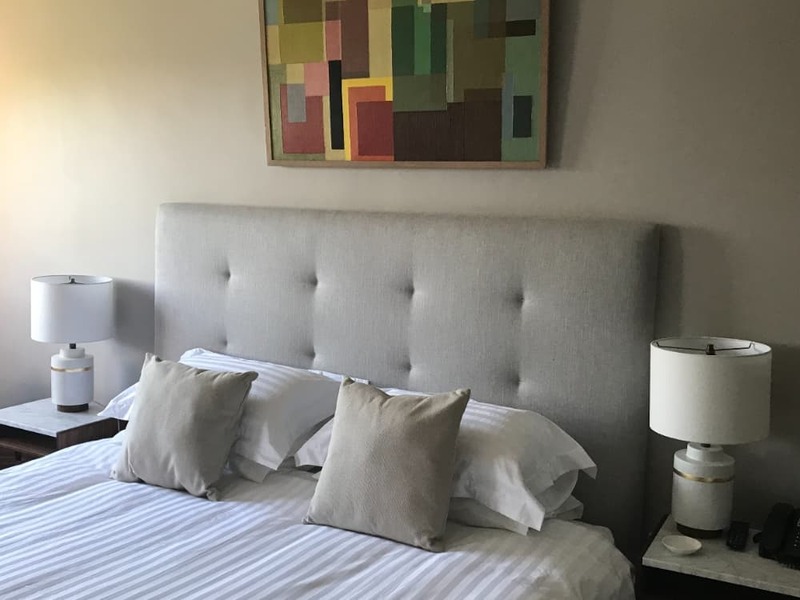 We made a very bold decision to paint a feature wall in a dark grey behind the bedhead before we received it and looks amazing and really makes that beautiful cream velvet shine. Super happy. Yes, I am really happy with our new bed. It’s absolutely lovely. My bedhead is beautifully made and luxurious looking. The square paneling is modern which suits the room. The colour is definitely eye popping and changes into different shades during the course of the day. Thank you for making and delivering a quality and beautiful bedhead. We love it! We are thrilled with your magnificent bed! We love it! I’ve been waiting for the wallpaper to be installed to send pics. Now it’s in, we think it looks great. I love all of my 3 new bedheads! They all look great and I have passed on your details to some impressed friends! I am really happy with the bed head. I toned down the duvet cover so the curtains are the hero of the room. The bedhead is perfectly subtle but adds texture and colour. The cushions are perfect too. I feel super relaxed in it and is the sanctuary I was looking to achieve. The kids are always fighting about who is sleeping with me. The bedhead and stool look gorgeous! 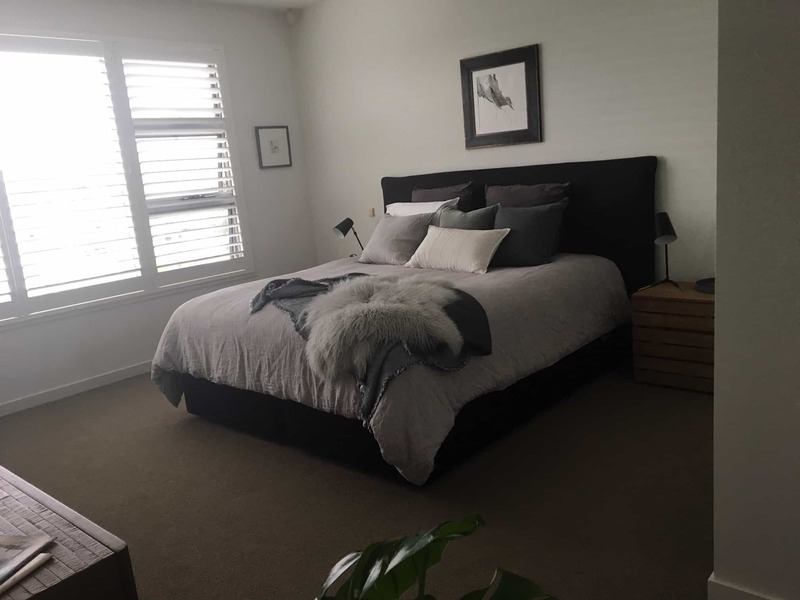 We really love our new installed bedhead in Augustus Armour Felt, thank you to all at Heatherly Design. I am finally in my new apartment and my bedroom all set up. My husband and I are so happy. We think it looks beautiful! Thank you to you and your very talented team. We are very pleased with the bedhead, its absolutely stunning! Very happy with the bedhead. No longer perched up against a cold concrete wall on the weekends. Our bed is PERFECT! We absolutely love it, thank you! Attached are a couple of photos of our new bed head and valance etc. We are very happy with the finished look. We are delighted with our new shoe box (it will be a blanket box for us). It is beautifully made, very impressed with the quality workmanship and has delivered exactly to our expectations. So often when you finally get items home you think ……… if only, but not in this case. We went for the longer box to place at the end of our queen bed and I was just a little worried it might look too big, but it’s perfect!! So thanks for a great product. I am thrilled with the new bed thankyou! Thanks so much. Love love it!! We were finally able to have our WOW moment that we have been waiting for!! We love it! We love our new bed, thank you for everything. 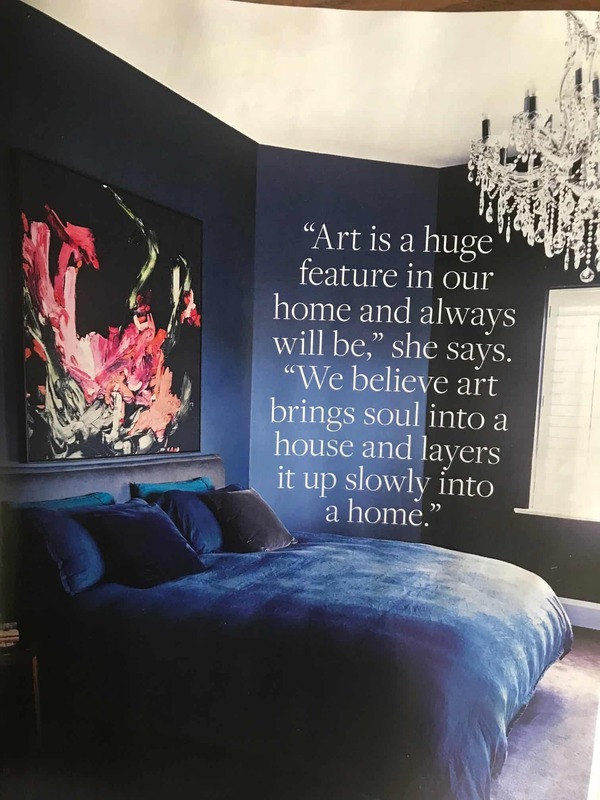 A note in appreciation Fiona to you and those involved in executing and delivering such an elegant and well constructed King Single Heatherly Astor Design bedhead for our daughter’s bedroom. The high quality of the fabrics used and the attention to detail in careful upholstering are evident at first view, resulting in an eye catching and timeless bedhead that will withstand all interior design trends. It is such a classical, beautiful object to admire up close, and in relation to the bedroom setting. With kind regards and in appreciation of all of your team’s efforts; from answering my initial design enquiry; the fabric sample sent; the precise manufacturing; and, planned delivery interstate. I love my new ‘sackville’ bedhead, and thank you also for the wallpaper, which is actually going behind the dark blue in my master bedroom. You have a very prompt, efficient and very professional company, which for some reason not well known here in Brisbane- of course I have told many people, so hope you get more business from up here! Will send another photo when we have finished the wallpapering. I have attached quite a few photos for you to see the AMAZING bed !!! I am sooooo happy with the look of my new bed and the colour is to die for !!!! This velvet looks amazing in every light. The pictures don’t do it justice. Also a big thank you for making all the alterations I wanted. Thanks Heatherly Design for our new bedhead and bedside tables. Love my new bedhead it looks and fits well. I’m glad we chose the fabric you suggested rather than all navy which was my original idea. I absolutely love my bed and thankyou so much for all your help. We love it!! The leather is amazing and it is so well made. We had a brunch at our place on Anzac Day and it received rave reviews. Here’s some pics. Our dog, Luigi, loves it too! Thanks so much, I love my sons bedhead really happy with the colours we chose! He is also very excited to have a big boy bed! See it is beautiful. Thank you so much! 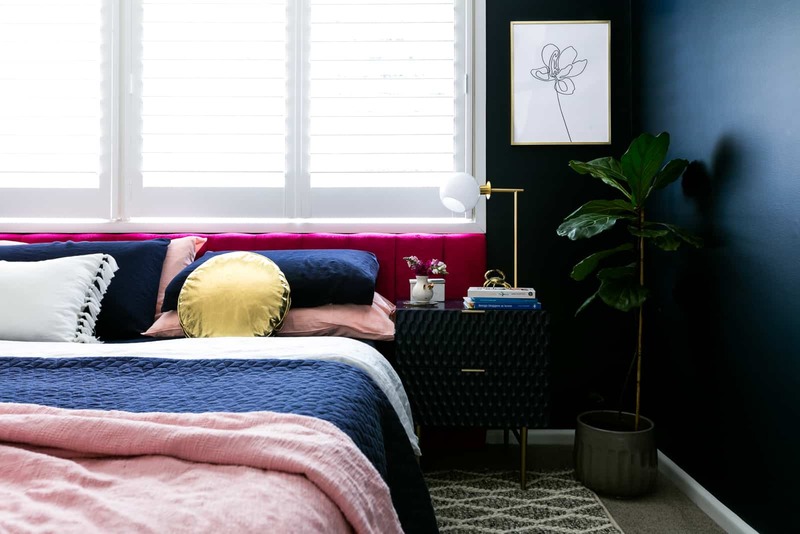 Bridgette is absolutely in love with her bedhead and base, it completes the whole makeover of her room. Thank you thank you thank you!!! The bed looks absolutely stunning – I love it!! !